where have I been you might think? and then putting them all back? On to my title of today. two days, it will feel like running a Marathon, right? Just your cup of tea, coffee, lemonade or bottle of wine.. I will show some more. I’m starting with a lovely girl from Oz, who lives in England. 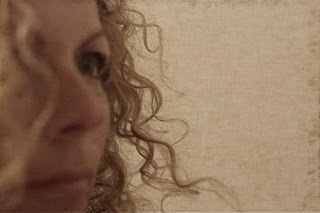 Meet Melissa, from the blog Lulliloo. She is very creative and her blog is a nice mix of fashion and home. Melissa recently gave me a beautiful award! 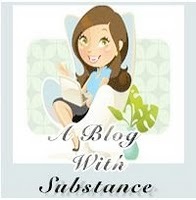 “…it made me reflect on what defines a blog with substance to me. Yep, my smile was big that day! And I was in good company too, go and see for yourself who the other 5 lovelies where. She went all the way from the UK to Oz, that is what the next girl did. Meet Beth from A Welsh girl in Australia. She writes about her life Down Under with her family. Coming from Wales she shows how she is adapting to the Oz side of life. I’m glad to have found her blog. Don’t forget to see her photo’s of cane toads….brrr! On to America. Now this girl likes to talk a lot, like me, so I instantly felt at home. Meet Tatum from the blog Many Moments of Me. Tatum is not only funny and really sweet, she also has a very creative side. from the Nate Berkus show, how cool is that! Go and read all about the Moments of Tatum. The next girl lives in Ireland. Meet Linda from the blog Flowers on my Table. Linda is so nice and I was glad that she had found me. A decorative artist and florist working from her home, a mum and a wife, she does it all. always a good inpiration source. you will welcome her to Blogland, like you all did with me. On to Italy for the next girl who comes from Scotland. Meet Sarah Elizabeth from the blog Sarah Elizabeth. She moved to Italy for love, how romantic is that? I love this photo of her engangement shoot, true romance! of their home in Italy, different creative projects she makes and her Friday photo’s. what she has to share. And for today’s last girl, we go to the USA. Meet Maureen from the blog Cottage 960.
with the way she shares things going on in her life. she is a gifted photographer . go have a stroll around her blog and get inspired. You were on a roll today! Congratulations on your award! Thanks for all the links to these wonderful bloggers…they all sound like great blogs and I will check them out. Have a great day! morning…running shoes are OFF at my end…ugg boots on and my father-in-law has just handed me a take away coffee! so i am starting with the gals on your list- that i don’t already know- and spending more time feeling sorry for myself and blog hopping…thankyou gorgeous! I absolutely have to find another way to say :I adore you, Maureen!!! I know I’m boring…I always use the same words…but the fact is that…I adore you! (Whoooops, I did it again!!!). PS: I run and visit these ladies! So many lovely blogs attached to so many lovely bloggers! Thanks! Thank you for the link Maureen – that was a lovely thing for you to do. (I was thrilled and excited!) I’ll certainly be having a read through the blogs that you mentioned. Just read your sweet comments..you know,I’ve no idea about the reason why my profile picture disappeared!! Did my blog reject me?! Hope tomorrow I’m gonna check and solve the problem! Thanks for makin’me see it..
What a great idea you have to share all these lovely blogs with us. and your post DID make me laugh!! Thanks for including my little corner of the world, and I can’t wait to go about visiting these other lovely bloggers. I found you via Maureen. The other one! I like your rambling ways. I tend to do the same. A lot of wonderful bloggers from all over the world. Will have to check them out. Thanks. Lovely to have a post from you and big Congratulations for your award. Also thanks for sharing the blog love and will go and visit ~ aren’t there some beautiful blog friends out there! Ooh, I love your list We must be on the same blogging trails, because I follow most of these too! Why, what good taste you have! See, twins. Thanks for your lovely words Maureen I found this before I got your comment to let me know, so imagine my surprise to see little ole me on here! I’m putting on the running shoes and jogging along to these other blogs now! Hi Maureen! Aren’t you just the kindest sweetest person ever!! I am so sorry that I am just now getting back to you but I am THRILLED that you thought of my blog and figured it link worthy. I will absolutely check out the other bloggers that you linked. What a great way to make new blog friends!